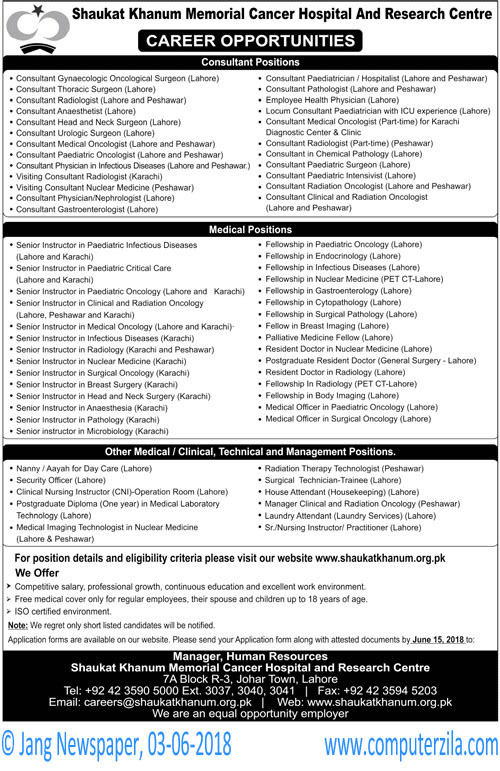 Excellent Career Opportunities in Karachi at Shaukat Khanum Memorial Hospital and Research Center (SKMCH&RC) in Karachi Cities. 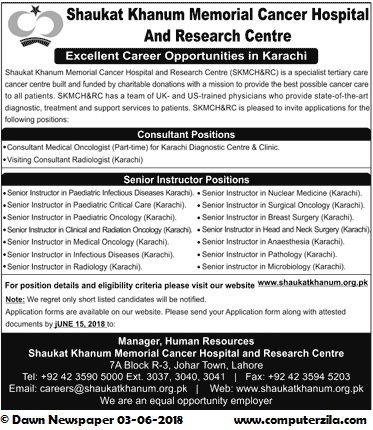 Shaukat Khanum Memorial Hospital and Research Center is a Government Organization which requires employees for Administrative, Teaching, Instructor, and Consultant Jobs in cities Karachi. Shaukat Khanum Memorial Hospital And Research Center (SKMCH&RC) is a Specialist tertiary care cancer center built and founded by charitable donations.